Save SAR 180 (60.20%) – Earn 11 Shukrans What is Shukran? Shukran is the Landmark Group’s award-winning loyalty programme in the Middle East, which allows you to earn Shukrans when you shop any of our brands. 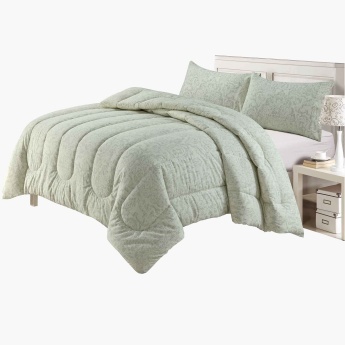 Beauty and class is what your bedroom will exude with this gorgeous duvet cover set. The attractive print and the soft hues instantly heighten the overall appeal of your room. The perfect make of this duvet cover set lends an uninterrupted sleep.